Come and take pleasure in the tastes and traditions of Afternoon Tea, in the historic c. 1800 McCaa’s Tavern on the grounds of Historic Camden. Bring your friends and enjoy the customary fare of scones, sweet bites, savories and, of course, tea, served on handsomely decorated tables set with lovely linens and fine china, and in the warm glow of candlelight. Your Afternoon Tea will be prepared and served by an all-volunteer hostess and staff. Great care will be taken to ensure you have a delightful and memorable tea with your friends. There will be four seatings on Saturday, February 2, 2019. Tickets are $35 a person, purchased in advance. Seats are limited so don’t delay! PURCHASE TICKETS HERE! Update 1/10/19: Afternoon Teas are SOLD OUT! 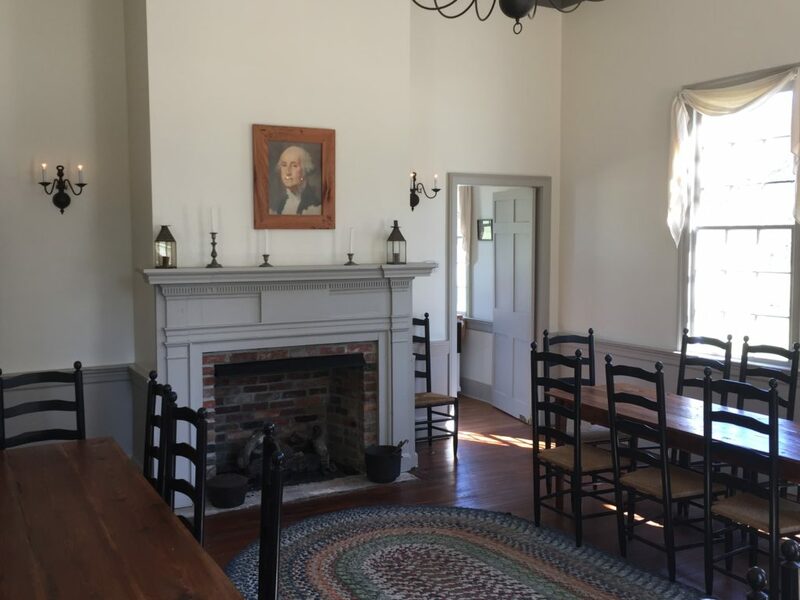 Tea service will be served in Historic Camden’s c. 1800 McCaa’s Tavern.